This page was done by Chuck Tribolet, but all the data and pictures come from the National Oceanographic and Atmospheric Administration, Scripps Institution of Oceanography, and the U.S. Navy and is excerpted from http://cdip.ucsd.edu/, and https://www.fnmoc.navy.mil/wxmap_cgi/.. If you would like to learn more about how to read this information, see http://www.garlic.com/~triblet/swell/Inet1XMP.html and http://www.garlic.com/~triblet/swell/UPSSwell.pdf. 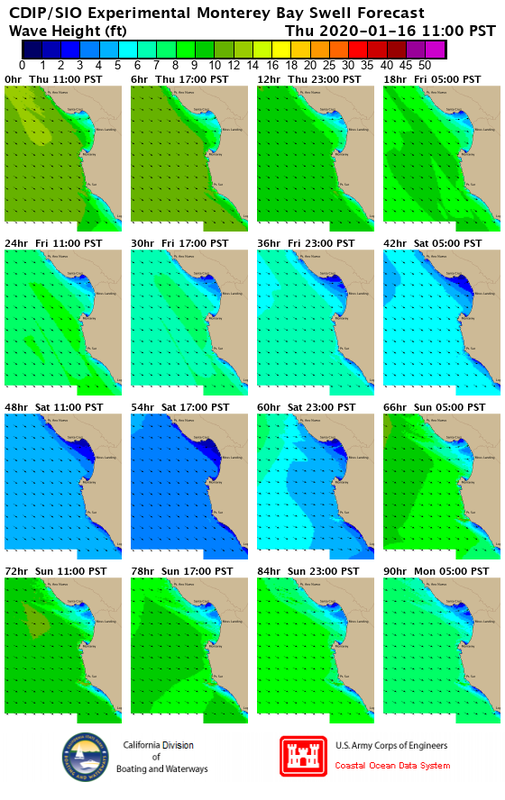 I also have a North Coast Sea Conditions at a Glance page. For information about Internet resources for the Bay Area diver, see http://www.garlic.com/~triblet/swell/. 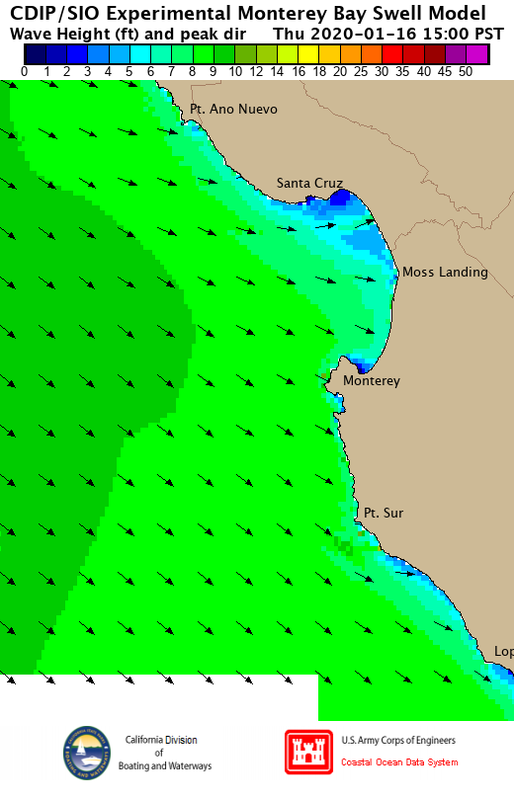 For information about using GPS for diving in Monterey, see http://www.garlic.com/~triblet/swell/gps.html. 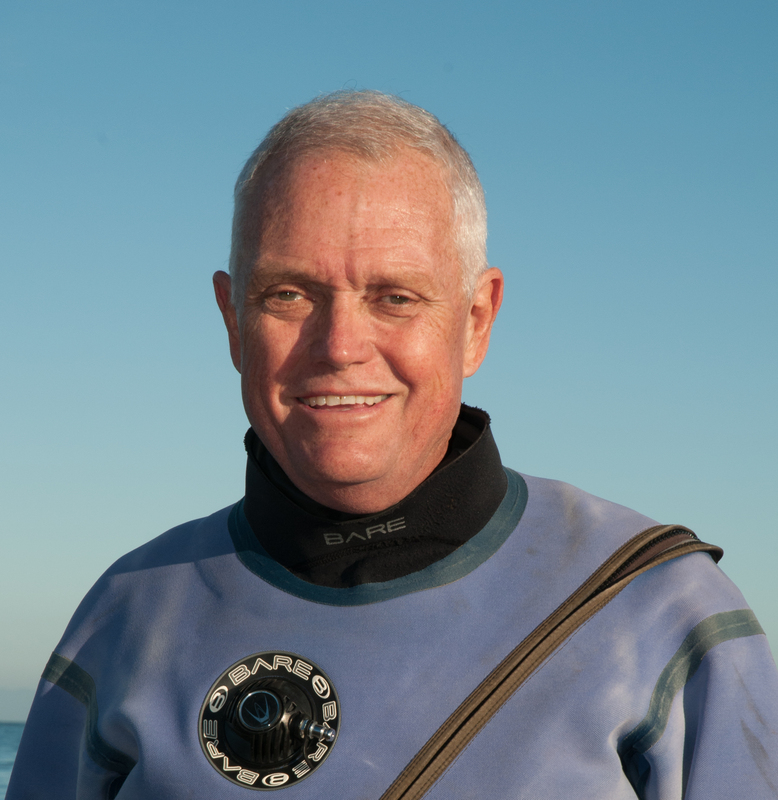 For information about the Northern California Underwater Photographic Society (NCUPS), see http://www.ncups.org. Pebble Beach looking at Pescadero Pt.